From the Menyet Collection necklaces reserved for the Goddesses! 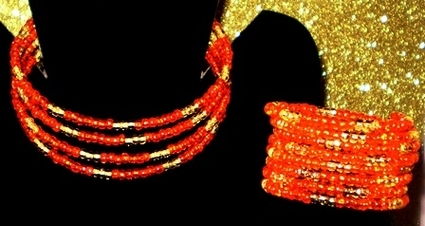 Original handmade vivid bright orange color with bright gold accents on memory wire. Remembering the Queen is the inspiration.